A health partnership between Basildon & Thurrock NHS Trust and Lumley Government Hospital in Sierra Leone have come together to improve epilepsy care in Sierra Leone. 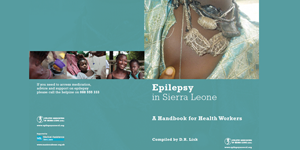 They are training health workers at all levels to be able to diagnose and manage epilepsy. And are setting up an epilepsy hub to reach isolated rural communities. This short film documents some of the project work of the partnership and interviews health workers and patients about their experience with epilepsy and how the project has changed their lives. Thank you to everyone who took part in the film.